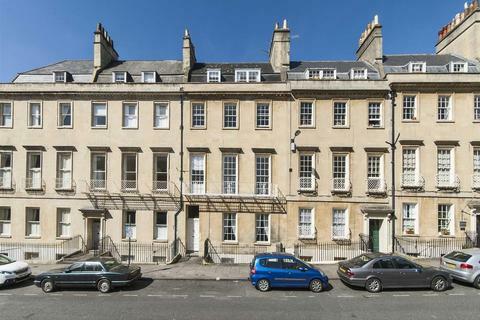 A beautiful two bedroom garden apartment forming part of this elegant Victorian building with a private entrance. The property is bursting with period charm yet benefiting from bright and modern decor. The accommodation offers an entrance hall, kitchen, inner hall, bay fronted sitting room, two bedrooms and a modern fitted bathroom. Externally there are well maintained front and rear gardens featuring some fantastic trees and shrubs, with a lawned front garden and patio garden to the rear. The property is also handy for the local shops in Chelsea Road which include a bakery, two convenience stores, hardware shop, takeaway, Thai restaurant, café, a well- stocked greengrocers, delicatessen and a fantastic estate agent. The Royal United Hospital is also close at hand. Bath itself offers a fantastic range of restaurants, shops and cultural opportunities including the Abbey, the Bath Spa, Theatre Royal, Roman Baths and Pump Rooms and the Holburne Museum. Front door at the side of the property on the ground floor. Access to accommodation, radiator, window to side. KITCHEN: Range of fitted wall and base units with ample work surfaces and tiled splash backs, stainless steel one and a half bowl sink and single drainer, built in double oven and gas hob with extractor hood over, plumbed for dishwasher and washing machine, boiler for gas central heating, opening into the inner hall, double doors to back garden. INNER HALL: Double glazed window to side, radiator stripped wooden floor, built in cupboards. SITTING ROOM: Double glazed bay window to the front, plaster cornice, period fireplace with gas fire inset, cupboards in recesses, stripped wooden floor, radiator, picture rail. BEDROOM ONE: Double glazed window to the rear, period picture tiled fireplace, plaster cornice, picture rail, radiator. BEDROOM TWO: Double glazed window to the side, radiator. BATHROOM: Suite comprising panelled bath with a shower over, low level WC, pedestal wash hand basin, floor to ceiling tiles, opaque UPVC double glazed window to side, heated towel rail. REAR: Raised patio area ideal for al-fresco dining, timber framed shed, side access, enclosed by stone walls and fencing. FRONT: Established shrubs and flower borders, small lawn. Property reference NR40. The information displayed about this property comprises a property advertisement. OnTheMarket.com makes no warranty as to the accuracy or completeness of the advertisement or any linked or associated information, and OnTheMarket.com has no control over the content. This property advertisement does not constitute property particulars. The information is provided and maintained by Justin Hunter Estate Agents - Weston. Please contact the selling agent directly to obtain any information which may be available under the terms of The Energy Performance of Buildings (Certificates and Inspections) (England and Wales) Regulations 2007 or the Home Report if in relation to a residential property in Scotland. 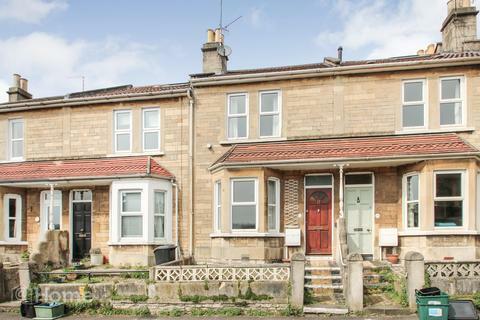 A rare opportunity has arisen to purchase this spacious 2 bedroom terrace home situated in a popular location being just a stone throw from Royal Victoria Park and close to the Tesco local store and shops in Chelsea Road. Beautifully presented and spacious two double bedroom Top Floor apartment. 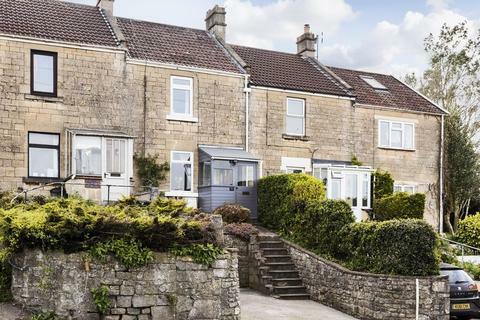 This charming two-bedroom cottage has been refurbished by the current owners and retains many character features. It's presented for sale with a modern kitchen and bathroom. Additionally, there are good sized rear gardens and off street parking to the front.